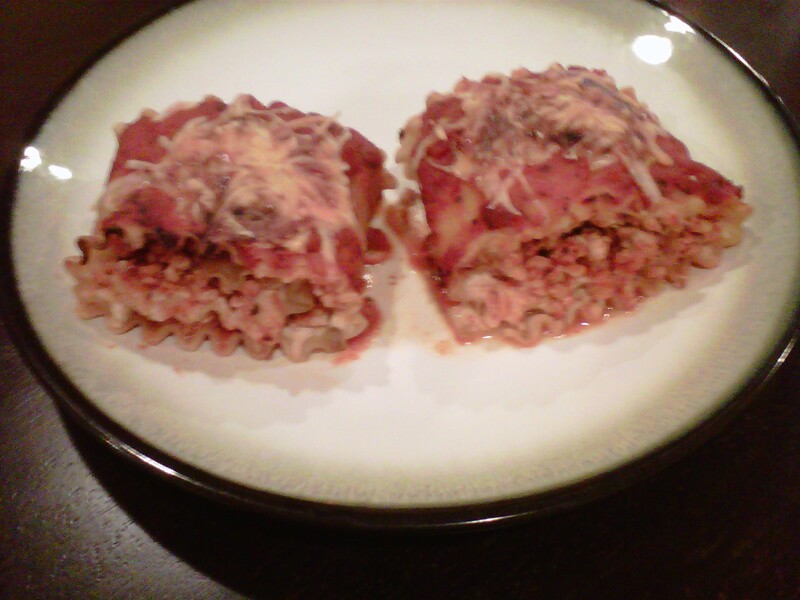 I found a classic recipe to lasagna roll ups and with just a few changes I made a healthier, filling new version. 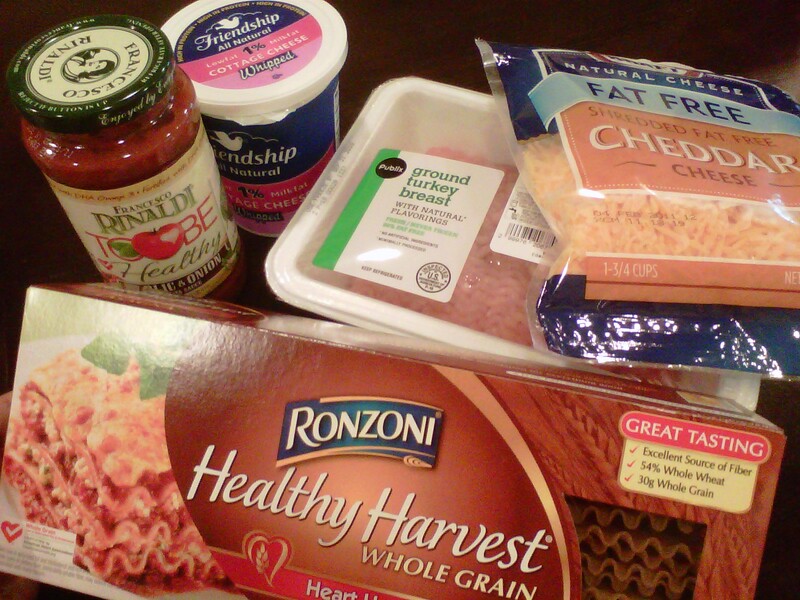 As you can see in my main ingredients I have lean ground turkey, whole grain pasta and fat-free Cheddar cheese. I chose 1% whipped cottage cheese instead of ricotta as cottage cheese has more protein and less carbs. I also found this red sauce of garlic and onion that was low in sodium, no sugar added and essential Omega 3 fatty acids. Directions: Bring a large pot of lightly salted water to a boil. Cook lasagna noodles for 5 to 8 minutes, or until just slightly underdone; drain and rinse. Cook turkey with spices of choice. Mix turkey and red sauce. Lay out a noodle. Spread a layer of the cottage cheese on the noodle, then add a thin layer of turkey. Roll the noodle up, and place seam side down in a 13×9 pan. Repeat for other noodles. Top with remaining sauce and cheddar/mozzarella cheese. Bake in a preheated 350 degree F (175 degree C) oven for 30 min, or until hot and bubbly. p.s. Just like the chocolate blueberries!! =) btw, Congrats on this, its Awesome!! I am going to try this, it looks delicious!